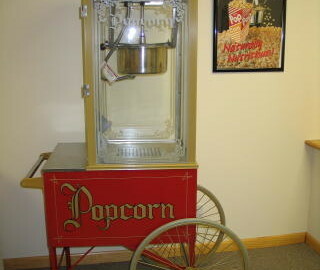 Our nostalgic popcorn machine will add ambiance as well as LOTS of popcorn. Great for backyard parties as well as school carnivals and bake sales! Don’t forget to order the accompanying supplies!